There are a number of styles of popular fencing today. 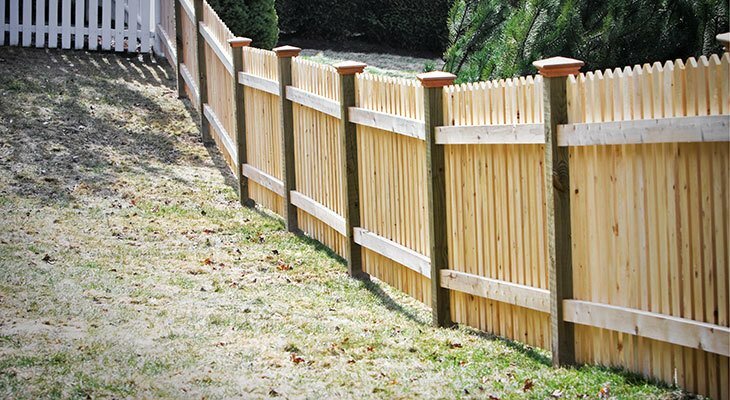 Cedar picket, Cedar Split Rail, and Cedar Rail fencing made of 6×6 and 2×6 or 2×8 are very popular in our area. Farms and ranches often use Treated Fence Posts, Tee Posts, Barbed or Barbless, wire, Horse Fence and Field Fence, all of which are available at Moore Lumber & Ace Hardware. We also stock gates and hardware.